Blacksburg Unfurled visualizes the symbiotic bond between the tightly bound "16 Squares" town center of Blacksburg, Virginia and the sprawling Virginia Tech campus situated next to it. 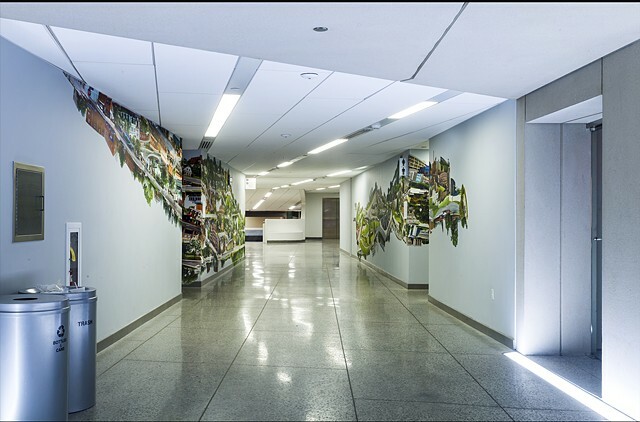 Positioned facing one another across the busy Francis T. Eck Exhibition Corridor, this large-scale, site-responsive photographic installation immerses the viewer in the landscape, describing the condition of urbanity within nature by juxtaposing form and density. 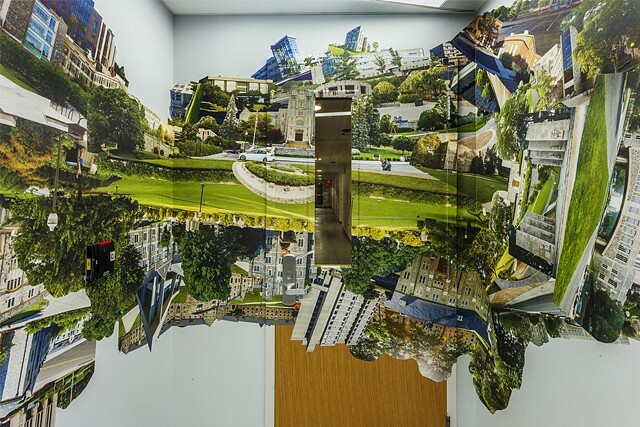 Impossible to take in with a single glance, the work mimics an active pedestrian experience, one of stops and starts, of details gleaned over time, revealing history through the architecture and structure of both town and campus. 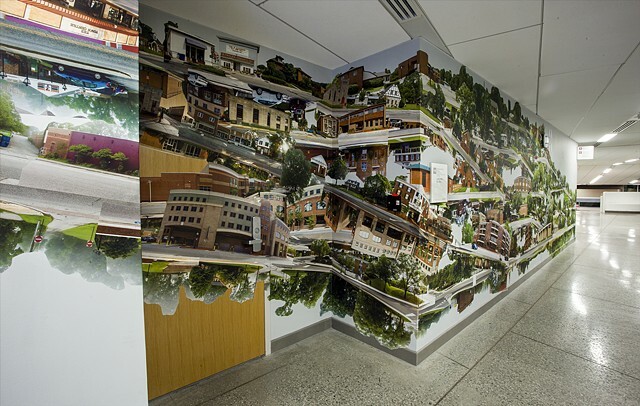 The division of land and the breadth of architectural growth Blacksburg holds are the guiding principles for the piece. Blacksburg’s development began 250 years ago when Samuel Black, upon his death, divided his land among his sons. In the late 1700’s, to the east, a grid of 16 squares was created, formally laying out the town. This forward-thinking action set up a system for growth, establishing the town's “heart," solidifying its location as a thriving hub. To the west, 100 years later, a land grant university was built using federal funds, turning the second parcel of land into the next forward-thinking element of the town.